The Trump administration announced they will be reinstating a citizenship question on the 2020 census to “help enforce” the Voting Rights Act of 1965—and California is already pushing back. The Commerce Department announced the decision Monday night. “The citizenship question will be the same as the one that is asked on the yearly American Community Survey (ACS). Citizenship questions have also been included on prior decennial censuses. Between 1820 and 1950, almost every decennial census asked a question on citizenship in some form. Today, surveys of sample populations, such as the Current Population Survey and the ACS, continue to ask a question on citizenship,” reads a statement on the decision. According to the Commerce Department, the request to include a citizenship question came from the Department of Justice in order to “provide census block level citizenship voting age population (CVAP) data that is not currently available from government surveys.” This data, the administration argues, will be used to protect minority voting rights. “Having citizenship data at the census block level will permit more effective enforcement of the VRA, and Secretary Ross determined that obtaining complete and accurate information to meet this legitimate government purpose outweighed the limited potential adverse impacts,” the Commerce Department said. California has already vowed to sue the administration, arguing the question would be unlawful. “Filing suit against @realdonaldtrump's Administration over decision to add #citizenship question on #2020Census. 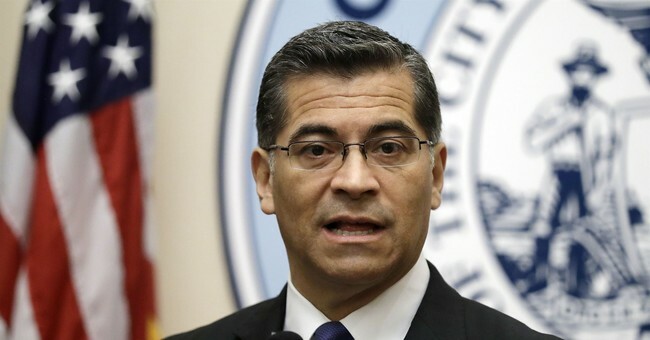 Including the question is not just a bad idea — it is illegal,” California Attorney General Xavier Becerra wrote on Twitter. Other Democrats reacted similarly to the news. "Constitution does not require citizenship question. This is purely political. Trump Administration is trying to rig the 2020 Census (to protect gerrymandering) by intimidating people. Don’t be fooled-some states will unfairly lose funds and representation. We will sue,” vowed former U.S. Attorney General Eric Holder, who is also chair of theNational Democratic Redistricting Committee. The Trump administration is undermining the 2020 Census with its anti-immigrant agenda. We wrote a letter to Sec. Ross strongly opposing the addition of a citizenship question to the #2020Census. This is yet another intentional decision by the Trump Admin to instill fear in communities & further an anti-immigrant agenda. Sen. Dianne Feinstein (D-CA) and her colleagues argued the question will discourage people from taking the census, leading to inaccurate information about the population. “The inclusion of a question on citizenship threatens to undermine the accuracy of the Census as a whole,” they wrote in a letter to the DOJ in January. The list of questions to be included in the census must be submitted to Congress no later than March 31, 2018.